Elkagorasa the Casual: Alchemy Mount?! 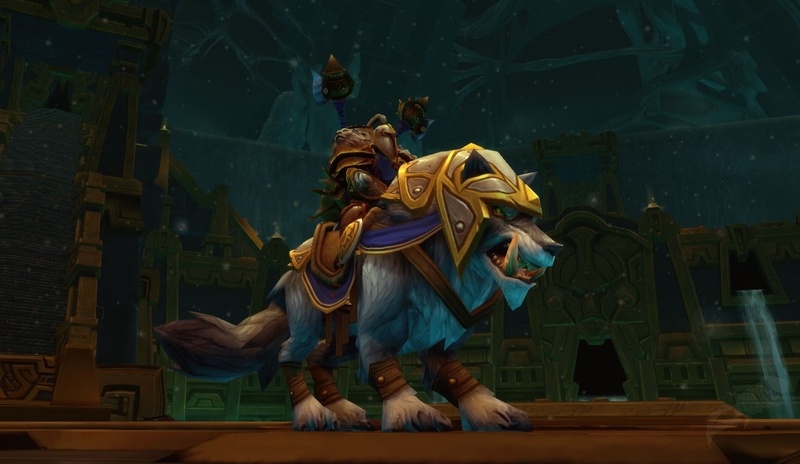 Did you see this mount as posted over on MMO-Champion? It appears to be from a BOP Item from Alchemy Recipe. It is supposed to transform you into a rideable mount!! Since, I think this is absolutely cool, I thought I'd break down the required mats. Considering the #2 ingredient is sold in Uldum, I'd bet (some part of) the recipe will require an Exalted standing with Ramkahen. (which also has a couple camel mounts also!). Yasmin, who sells the Sands is in Uldum, just south of Cenarion Hold, Silithus. She appears to be part of a Nessingwary-style camp, so I doubt it will ever have a rep discount. Albino Cavefish are found in Deepholm, a level 83+ zone. You can't even access the quest until 83 to get there. Cinderbloom is available almost everywhere (wowhead says deepholm, uldum and twilight highlands). I remember it in the beta in Mt Hyjal. Truegold is requires your alchemy at 525. Overall, I don't expect to see one of these until level 85. With mats (like mechano-hog) going to cost upwards of 25000g, it shall be a fairly rare mount. But your Friends can ride you! 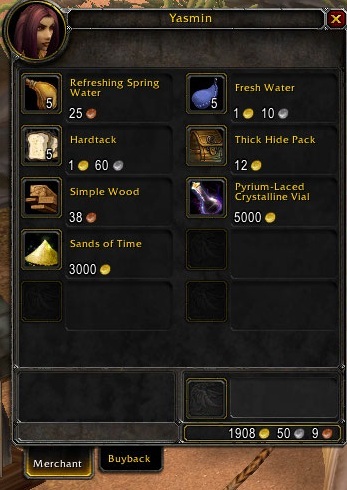 On a more serious note though, 25k gold could possibly be a drop in the pond at 85. I remember when 5k was a Ton of money in TBC for the epic flyer. It would take forever for people to save up that much money for it and it was truely "Epic Flying". Now, 5k can be aquired pretty easily within a week or two. You dont even have to try very hard to find yourself with 20k these days. If the trend continues, 25k will be the new 5k currently. Oh, I totally agree. I've spent 25k gold in a month. I think the hardest part will be the volatile ____ fire,water,air,life) that we'll need (if we don't buy the crafted item. From what I've read, the xmute for volatile life -> ?? will be a sort of random xmute. Needing 360 other volatiles and 100 volatile life is going to be a LOT of herb picking!! •The Alchemy mount Vial of the Sands is no longer Bind-on-Pickup.